Yesterday i received a pack of goodies from shannon's soap. I wanted to share my experience will you guys. First of all, the service is top shelve. When i received notification that new products were available i dove straight in, being a previos customer. I was really disappointed, because i couldnt place an order because my celular phone was acting up. The disappointment was so big that i PM brian, shannon's husband. In little time he wrote back with advice about how to procede. By that time i was already almost home. From my home computer i had no problem with the order. 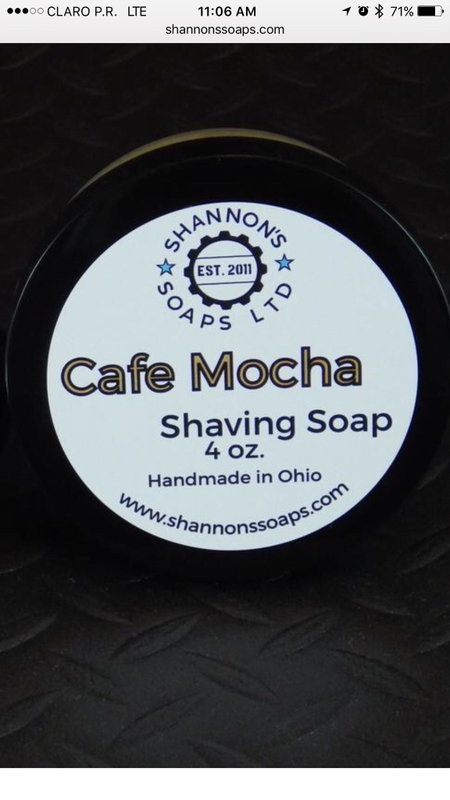 I ordered the Cafe Mocha and Amaretto tallow based soaps, along with the City Fern aftershave and the Coconut balm. For me the most important aspect of a soap is its post shave. Shannon's tallow soap leaves your skin with that silky feeling that you keep touching during the day because it feels so good. The second aspect is the glide and cushion. Both exceptional. So good in fact that this morning i went for a five pass shave with my Merkur 41C 1904. I consider this razor (with a Kai blade) a pretty good, but mild shaver. That is why i went for the fifth pass. Simply put, i could not feel the blade until the fourth pass (atg). The soap did a great job. 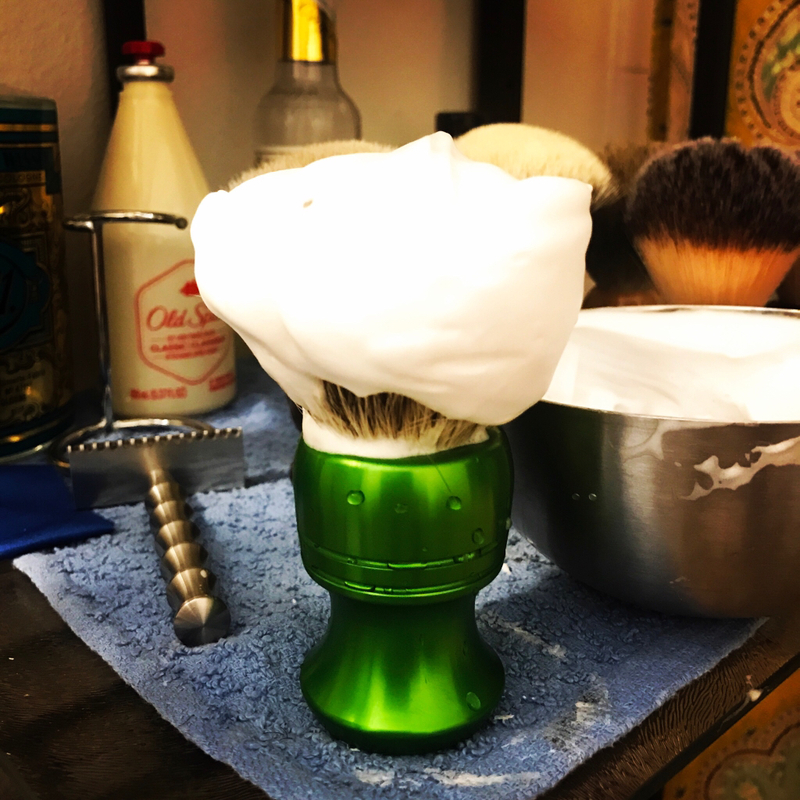 I loaded for thirty seconds with my brand new Razorock plissoft and face lathered. I was amazed how many layers of thick lather kept coming out of that brush. The third aspect is the scent. The Silk Pillamas that i had has a scent like good old fashioned cleaness. 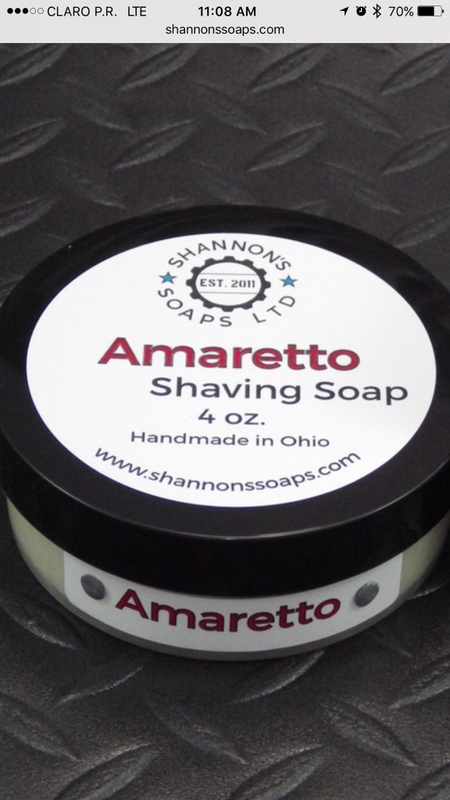 The Amaretto has a beautiful and delicate ice-cream parlor scent. The presentation of the products is great. The size of the packaging is perfect for a shaving brush. I want to congratulate Shannon and Brian for a job well done. Keep it up. Looks nice. Glad you found a soap you really enjoy. (03-07-2017, 02:24 PM)PapySnake Wrote: Good review! (03-07-2017, 02:06 PM)kingfisher Wrote: Looks nice. Glad you found a soap you really enjoy. (03-07-2017, 01:19 PM)carlospppena Wrote: I want to congratulate Shannon and Brian for a job well done. Keep it up. Shannon's makes excellent soaps and provides great customer service. Forest City Fern, part of the Rust Belt Reserve premium line, is particularly nice. This is one of the best soaps I have tried. I just got the Cafe Mocha and Lit soaps. I was so impressed with them that I just ordered 4 more scents. Love Shannon's soaps and I put them right up there with Cold River Soap Works! The quality of the soaps and the lather they create are absolutely wonderful!! 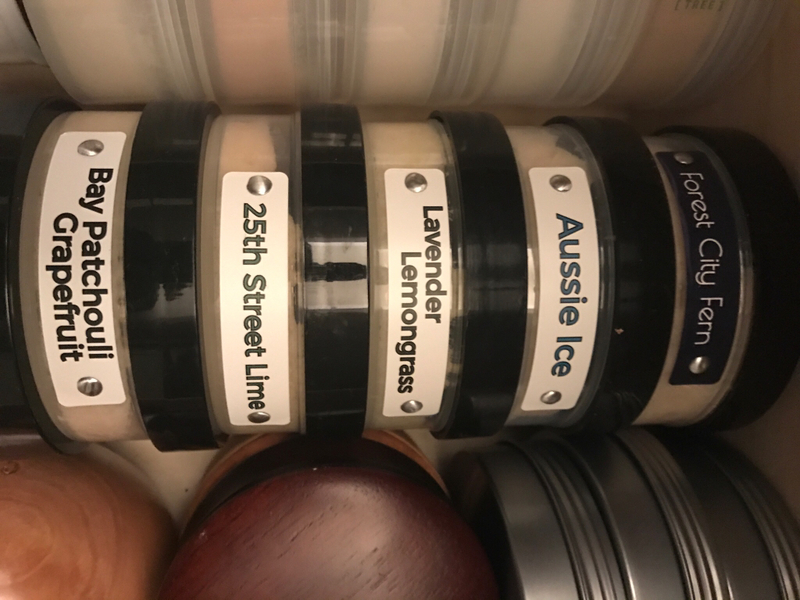 Currently I have 5 Shannon's Soaps in my rotation. Honestly, Shannon's Soaps have become my rotation and I seldom reach for anything else these days. Which reminds me, I have to order more. If you haven't tried Shannon's Soaps your are missing out on an incredible shave experience in all areas. My next 5 just shipped including her new Forest City Fern premium soap. Can't wait!! (03-18-2017, 08:10 AM)gmhjr06 Wrote: My next 5 just shipped including her new Forest City Fern premium soap. Can't wait!! The Forest City Fern is very nice.